Across Town Plumbing and Heating helps clients meet a wide cross section of plumbing and heating needs across Vancouver, the Lower Mainland and the Fraser Valley. With our extensive experience in full service commercial and residential plumbing, heating services, installation and repair, we will keep the plumbing and heating systems in your personal residence, or commercial business operating at peak performance. Little jobs, such as basic faucet replacement, replacing water lines to refrigerators and other fixtures, as well as toilet and hot water tank installation. Large scale renovations, including replacing out dated piping, plumbing and fixtures and bringing them up to new building code standards. Commercial kitchen renovations and repair (including emergency plumbing and heating services designed to minimize down time at your business). 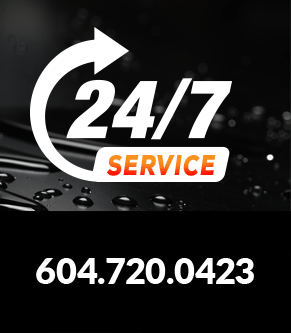 Emergency plumbing and heating service, 24/7, throughout the Lower Mainland, from North Vancouver to Abbotsford (including Vancouver, Burnaby, New Westminster, Coquitlam, Port Moody, Surrey, and Langley) for everything from burst pipes to drain backups, and residential furnace shutdowns and commercial boiler issues. Drain cleaning and maintenance (including camera testing and video recording so our clients and their insurance companies -- if needed -- can see blockages first hand). Commercial heating system maintenance, installation and service (including fixing or installing new boiler systems, and high efficiency furnaces, as well as annual warranty service). Emergency, gas and electric, hot water service (residential and commercial). Furnace and boiler (residential and commercial) service and installation. Regular boiler and furnace maintenance. Across Town Plumbing and Heating also has extensive experience working with large scale, multi-tenant residential complexes and the strata management companies who oversee them. Whether you manage a large strata corporation, run a restaurant or other commercial venture, or are a residential home owner who needs a small job done, Across Town Plumbing and Heating is ready to help you with every essential plumbing and heating need. Call us today. I totally recommend Across Town Plumbing. I would not hesitate to contact them for any plumbing issue. We serve Vancouver, Richmond, Fraser Valley, Tri-Cities, Port Moody, and surrounding areas.